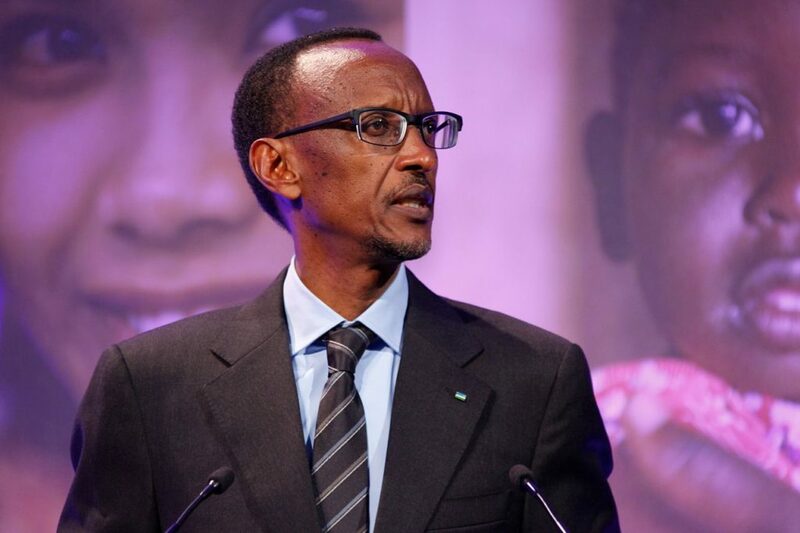 Rwanda’s much-vaunted development success has come under increasing scrutiny in recent years. First, a series of papers and blogs have questioned claims by the National Institute of Statistics of Rwanda (NISR) that poverty decreased by 6 percentage points between 2010 and 2014 (see Filip Reyntjens’ blogpost on African Arguments; a 2016 ROAPE paper and several blogpost on roape.net Exposing the Donor Darling and The Evidence Mounts). Second, inconsistencies have been found between Rwandan household survey data (HHS) and National Accounts Statistics (NAS), raising the prospect that Rwanda’s GDP growth figures may have been overestimated over the past decade (see Faking it: Rwandan GDP Growth Myth). Knowing whether Rwanda’s success claims are real is crucial at a time when the government’s political legitimacy is being eroded by mounting human rights abuses, deteriorating political freedom, and new challenges to the official genocide history promoted by the Rwandan government. In view of this, we would like to thank Dónal Ring for contributing to this important debate, and we would also like to respond to some of the specific claims made in his blog. It is through scrutiny and critical interactions of this kind, that we will hopefully be able to resolve some of these questions. On poverty, Dónal Ring suggests that the increase in poverty might be an artefact of the chosen price index (Laspeyre) and suggests that ‘releasing the results for other indices would strengthen [the] argument.’ The Laspeyre index was chosen because it yielded results that were closest to the original poverty estimates, so we assumed that this was the index that was used in the original study. Even though the Laspeyre index tends to over-estimate inflation, it was not used to update the poverty line from 2010 to 2014, but to estimate intra-year inflation, as well as regional price differences within each survey. Consequently, the price index cannot account for the increase in poverty between the two surveys. The requested results for other price indices are posted in the table below. While these results were not reported in the original blogpost, they were contained in the syntax files that were provided with that post. As the table shows, the increases in poverty using the Paasche and Fisher price indices range between +7.2 and +11.5 for all poverty lines that were presented in the original blogpost. In other words, they strengthen the conclusions of that earlier blogpost. As rightly noted by Sam Desiere, the question of which inflation rate we consider (not which price index) is crucial to answering the question on poverty. This is not a trivial technical detail, but a real question about how much food Rwandan farmers were actually able to purchase with their income over this period. Further research into this question would therefore be desirable. At the moment, the best estimates presented by Sam Desiere and others indicate the inflation faced by the rural poor was significantly higher than the stated national inflation rate. The reasons for the higher prices faced by rural poor have been explored by An Ansoms, Neil Dawson and others, and have to do with, amongst other things, forced mono-cropping, and local market failures. Dónal Ring’s second claim on the comparison of ‘constant’ poverty lines is not valid in this case, as it builds on a misunderstanding of the World Banks’s position on this issue. The cited paper makes a general conceptual point about the fact that poverty is a changing concept over time (you cannot assess poverty in the UK by the same standard you assess poverty in Rwanda, or by the same standard you assessed poverty in the UK 50 years ago). This sensible conceptual point does not in any way translate into a methodological endorsement of the types of changes in the poverty line that NISR undertook between EICV 3 and 4. NISR did not only update the poverty line to account for new consumption patterns, they changed the type of poverty line from an average consumption basket (reflecting people’s actual consumption patterns) to a minimum consumption basket (reflecting the minimum consumption required to meet 2100kcal/day). While updating the poverty line to account for changes in consumption patterns is sometimes acceptable and advisable, it is never legitimate to estimate a poverty trend by comparing different types of poverty lines. Even if there is not change in the type of poverty line used, any updating of the consumption basket should be accompanied by serious robustness checks to ensure that the updating itself is not driving the observed changes in poverty, as happened in Rwanda. The World Bank’s argument about updating the poverty line over time is typically used in the context of growing economies with rapid poverty reduction, and usually has the effect of reducing poverty reduction. The argument is that, as economies grow and people become richer, their tastes and needs will become more expensive, as they turn towards higher quality foods. Consequently, the cost of the basket needed to meet the minimum standard increases, and thus the poverty line should increase. The argument does not apply in reverse: if poverty increases, people will tend to turn towards lower quality foods. This means that the food basket becomes cheaper. But it does not necessarily mean that we should lower the poverty line. The reason is that this reduction in the cost of the food basket reflects negative coping strategies and a deterioration of living standards, rather than a voluntary change in consumption patterns. For full transparency, we nonetheless present the results for the updated food basket, reflecting changes in consumption patterns between 2010 and 2014. The poverty line is called the ‘survey-specific poverty line’ and shows an increase in poverty of between 5.7 and 8.3 between 2010 and 2014. The increase in poverty is slightly less pronounced than for the other poverty lines due to the fact that people have shifted to lower quality foods between 2010 and 2014, which in itself is further evidence of deteriorating living standards. This result was already available in the previously published syntax files (poverty line called: acttotpoor) but had not been included in the original blogpost for the reasons explained above. Secondly, we turn to the issue of GDP growth. Here, we need to distinguish between (1) past growth performance, (2) current growth performance, and (3) future growth performance. “– Hypothesis 1: Both NAS and HHS figures are correct. In this scenario, the discrepancies between NAS and HHS figures would be due to differences in definition, coverage, etc. between the two measures. For instance, GDP figures include government spending and investments, which may not be reflected in household consumption. This hypothesis would seem plausible, given the type of investments identified above (debt-financed, loss-making prestige and luxury projects), which would not typically be expected to benefit average households. As such, it would strengthen concerns about the regressive and unsustainable nature of government expenditures in Rwanda. However, if this hypothesis were correct, we should expect to find a decrease in final household consumption estimated from the NAS, which is not the case (Household final consumption expenditure grew by 6.5% per year according to the WDI – World Development Indicators – databank). – Hypothesis 2: NAS figures are correct but HHS figures under-estimate household consumption. This might for instance be the case if, as it often happens, rich households systematically under-report income/consumption or refuse to take part in the survey. In this scenario, GDP per capita would indeed have grown at 4.5%, but this growth has disproportionately benefitted rich urban households that are not adequately captured by the HHS. Such an explanation would be good news for growth but very bad news for inequality, since it would mean that the totality of Rwanda’s economic growth in recent years has gone to rich households, while average incomes for the rest of the population would have deteriorated. This hypothesis, however, seems to be incompatible with the claimed increase in agricultural value added (+3.9% annually between 2010 and 2013), since this is the sector that is known to have experienced serious problems in recent years. Furthermore, NAS figures also claim an increase in manufacturing (+6.4%/ year) and services (+8.3%/ year), which doesn’t leave much room to explain the decreasing consumption levels. This leaves us with a third hypothesis. It should have been easy for NISR to settle this discussion long ago by simply explaining the source of the discrepancy between NAS and HHS figures, as has been done in Botswana and elsewhere where such discrepancies have been found. NISR’s failure to provide an explanation until now does not strengthen their credibility. Unfortunately, Ring does not provide any new evidence to help solve this puzzle. This would have been a valuable research contribution, and we hope that Ring or others will take it up to help understand what why Rwanda’s seemingly spectacular growth performance does not appear to translate into improved wellbeing for Rwandan households. Regarding current growth performance, Ring claims that the blogpost presented an excessively negative picture of the Rwandan economy, because it presented data at the lowest point of an economic downturn, and that the economy has since improved. First, it is important to point out that those figures were the most recent available at the time of publication. Consequently, the blog presented an accurate and up-to-date picture of the Rwandan economy at the time it was posted. The second problem with this argument is that it uses NISR data to show that the situation has improved. Ring, like Lee Crawfurd, also makes ample use of NISR’s own statistics, to disprove the claims of increasing poverty and stalling growth. The problem with this line of argument is its circularity: if what is in question is the credibility of NISR statistics, then it does not help to present more NISR statistics to prove the credibility of the first set of NISR statistics. If NISR has intentionally or unintentionally produced misleading poverty and potentially also GDP statistics, then why should we believe the statistics that they produce on investments, inflation, etc.? This is not to say that all statistics are false, and no progress has been realized. But to date we simply don’t know what share of Rwanda’s much vaunted success is real, what part is cosmetic, and what part is down to fake statistics. The only way to restore the credibility of NISR statistics would be to have them independently verified by independent institutions or academics. The fact that the World Bank and IMF repeat NISR’s numbers does not constitute sufficient proof of accuracy, since those institutions do not have a mandate to approve official national statistics. This is why we have repeatedly called on NISR to release their raw data and syntax files, so that their calculations can be subjected to the same scrutiny that we have invited for our own estimates. Ring also tries to shore up the credibility of NISR statistics by pointing to the fact that Rwanda has been ranked as having the fifth statistical capacity on the continent. The problem with this argument is that NISR’s statistical capacity has never been in question. The problem is its independence. NISR, like virtually all institutions in Rwanda, are subservient to the executive power, rather than serving as a counterweight. It is well-known that Rwanda’s judiciary lacks independence, and that its legislative authority never contradicts the president. The same can be presumed to be true for NISR. In fact, since our blogs were posted, a number of different sources have, independently of each other, come out to claim that health statistics, foreign investment, etc. have been manipulated (see Mail on Sunday article cited above). So, the credibility of NISR statistics has, if anything, been further eroded since the time we posted our first blog. Doing business: it is true that Rwanda ranks well on the doing business ranking. But, as the recent Rwigara case shows (and earlier Rujigiro case) serious problems remain with regards to enforcement of property rights. This is a major component of a healthy investment climate, and explains why Rwanda still attracts surprisingly little FDI, despite it’s very positive Doing Business ranking. Corruption: It is undeniable that progress has been made on stamping out petty corruption. But again, this rosy assessment should be nuanced: First, the Transparency International ranking builds on self-reported perceptions of corruption. Given the authorities’ control, self-reported indicators should always be treated with caution in Rwanda. In fact, the Rwandan coordinator of Transparency International was assassinated while investigating high level corruption. Secondly, recent revelations in the Panama Papers about high ranking officials’ secret bank accounts, reveal that high-level corruption is still thriving in Rwanda. Discipline and good management: There have undoubtedly been elements of good technocratic management in Rwanda, as indeed there were under the previous regime up until 1990. However, the rapid accumulation of public debt for unprofitable vanity projects, such as RwandAir, the Kigali Convention Centre, and more recently, the controversial Arsenal deal, show that the regime is taking exceedingly high risk and spending vast sums of money on questionable ventures. Time will tell if these are visionary developmental gambles, or just another case of neo-patrimonial hubris. In conclusion, we can say that there is overwhelming and publicly verifiable evidence that poverty increased by a substantial amount between 2010 and 2014 in Rwanda, and that NISR’s poverty statistics were grossly misleading. This conclusion stands for all reasonable assumptions regarding the choice of poverty line, price index, and methods used to estimate the trend. Furthermore, there is increasing evidence from different sources that this and other statistical errors were intentional and aimed at misleading the public and covering up serious policy failures. The discrepancies between NAS and HHS growth figures remain unexplained, as no new evidence has been provided by NISR or Ring to explain the discrepancies we noted in our original blogpost. Therefore, all the conclusions in that blogpost with regards to Rwanda’s growth statistics still stand. We reiterate our invitation to interested researchers to use more sophisticated methods to try to estimate Rwanda’s real GDP growth rates and to explain the discrepancies between NAS and HHS figures. The authors of this article have asked for anonymity. Featured Photograph: President Paul Kagame speaking at the London Summit on Family Planning, Department for International Development (11 July, 2012). Glad that greater scrutiny regarding Rwanda reveals more of the real situation in the country. If a story is too good to be true, it usually is. Why the authors of this articles require the anonymity? Because they sources are not credible also they are among of the so- called expert in The Great Lakes Regions of Africa. For exemple Filip Reytchens who’ s been spreading fake news about Rwanda just because he doesn’t like President Kagame. He’s a poor nostalgic ex-Habyarimana’s adviser.He’ s a miserable retired and frustrated man with post colonial behavior. Haahahaha! Soon our sad authors of these blogs and articles will ask for a hand in marriage with Rwanda! This is real ‘love’ for this beautiful country! Unfortunately there are no more consultancies for them to write our national constitution like it was the case during the Habyarimana’s regime and other similar countries. This sort of love can be extremely be dangerous! ‘Filip Reytchens’, wow! True love in the air with Rwanda! Why would such a so called professional take a break and stop embarrassing himself in fights with young vibrant societies like we have in Rwanda! He needs to be advised that gone are the day! And for the co-authors it pays off to go constructive work rather than following dying ideologies! And for the subject you’re trying to get right, you remind me of someone who said that “If you rearrange the letters in “ECONOMICS”, you get “COMIC NOSE”.